And, btw, we’re also looking for designers to join our team on project, part or full time basis. Read more about it in this post. Our customers gave a couple hundred votes for updated proposals design in the last product survey. We decided to jump right on it and make web versions of Quote Roller quotes better. 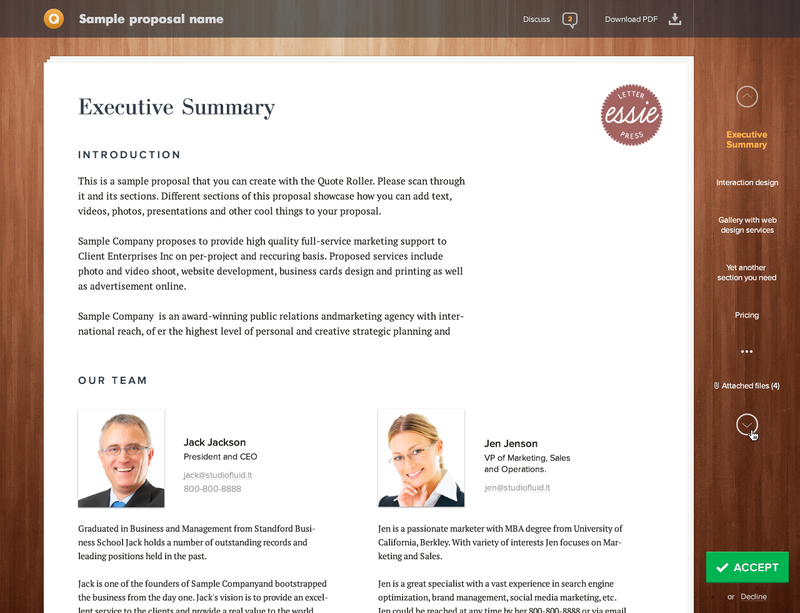 From technical stand point, Theme Editor will get web view customization features as well as ability to embed custom CSS. 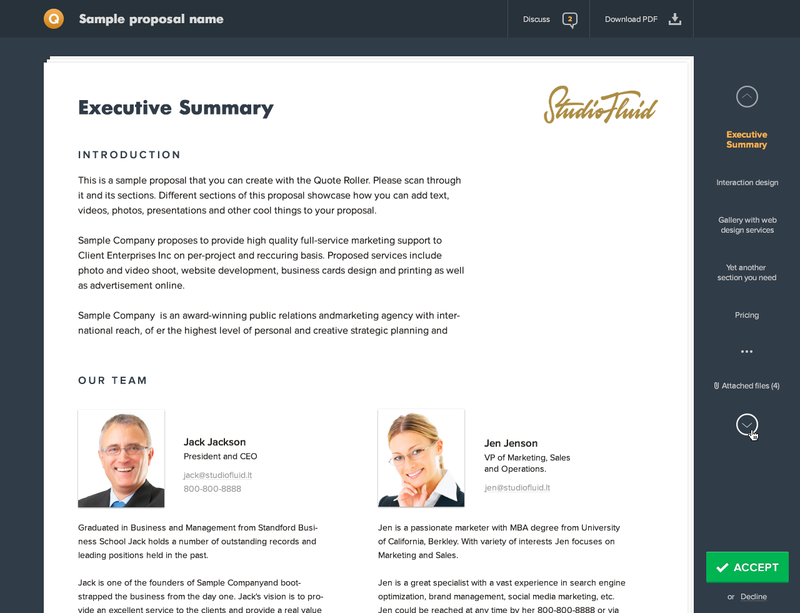 “Themes” will control not just PDF, but also web presentation of proposals. Controls and functionality will remain the same (Accept, Comment, Decline, Sign, etc.). We are creating a few themes available out of the box. Our friends from Bulka+Masla sent a few variations, attached below. What do you think? (feel free to leave comments below the post). Think you can do better then this and got time for a new project? 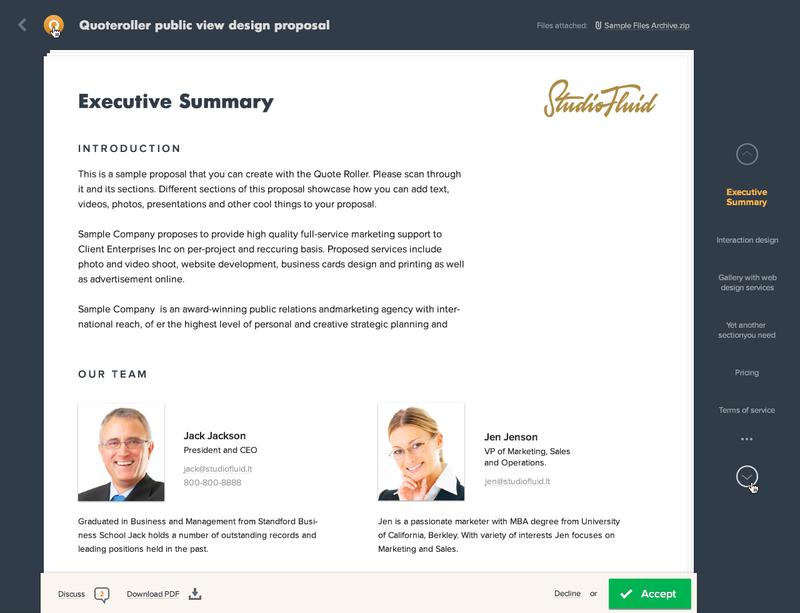 There is an opportunity to work with our product team on new design themes for Quote Roller proposals. Contact me via mikita at quoteroller.com, if interested.